A picture can say a thousand words. This 2-1/4" treasure says it all. A bit ancient times, a bit Renaissance, a lot of beauty. 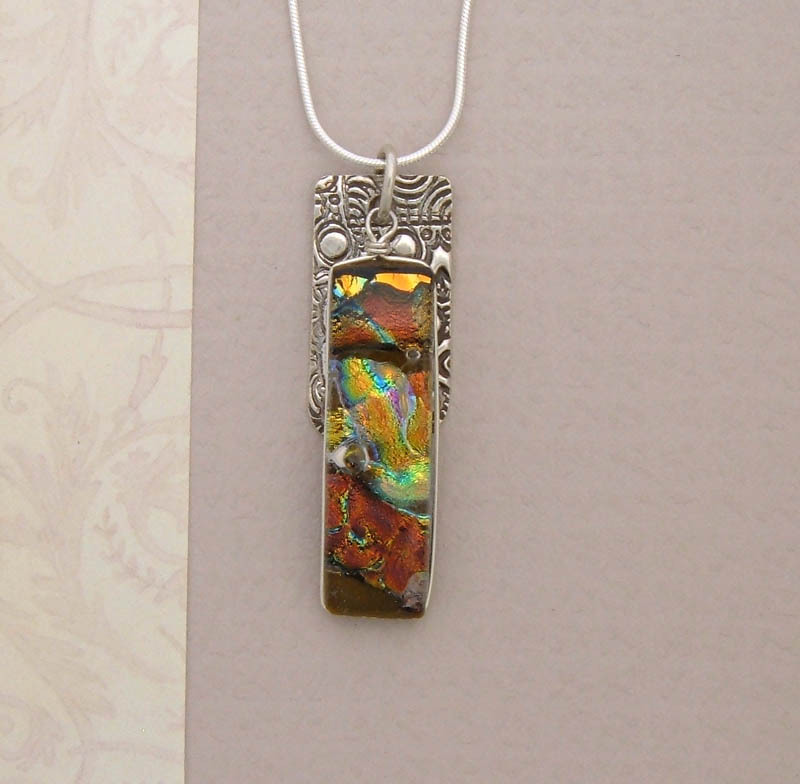 Hand-crafted and formed fine silver sets off the background for this dramatic dichroic art glass pendant wrapped in sterling silver. The colors in this glass are amazing and suited for any wardrobe and season. 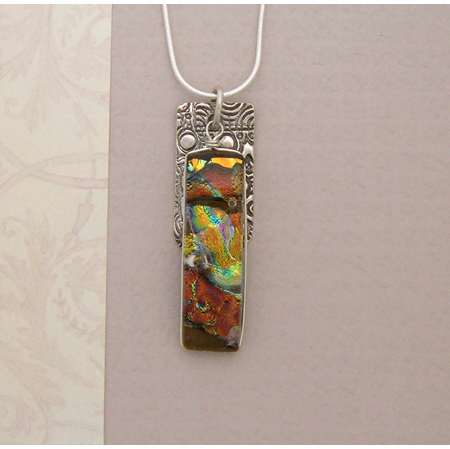 An artisan glass pendant that will take your breath away the moment you see it each and every time. 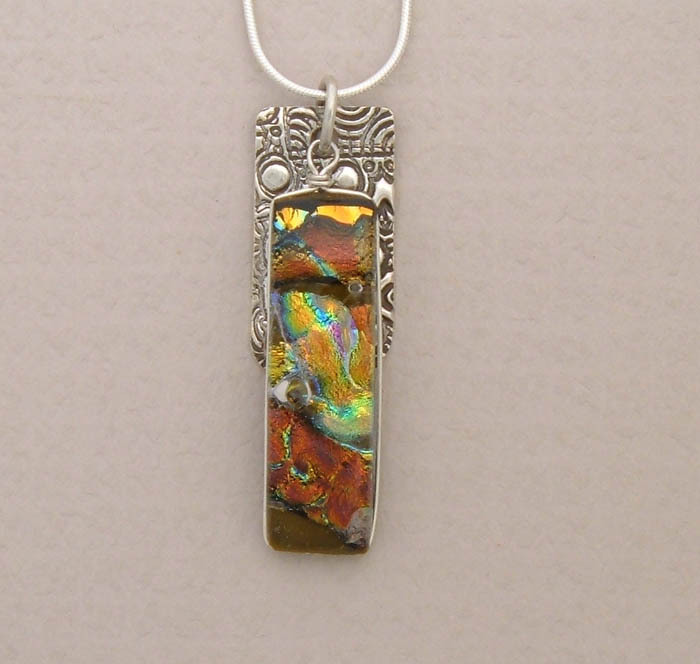 A bold and outstanding pendant sure to turn heads. Silver Plated Snake Chain is included with purchase.